Please note: the pin shows the centre of the property's postcode, and does not pinpoint the exact address. Sorry, street view is unavailable for this location. 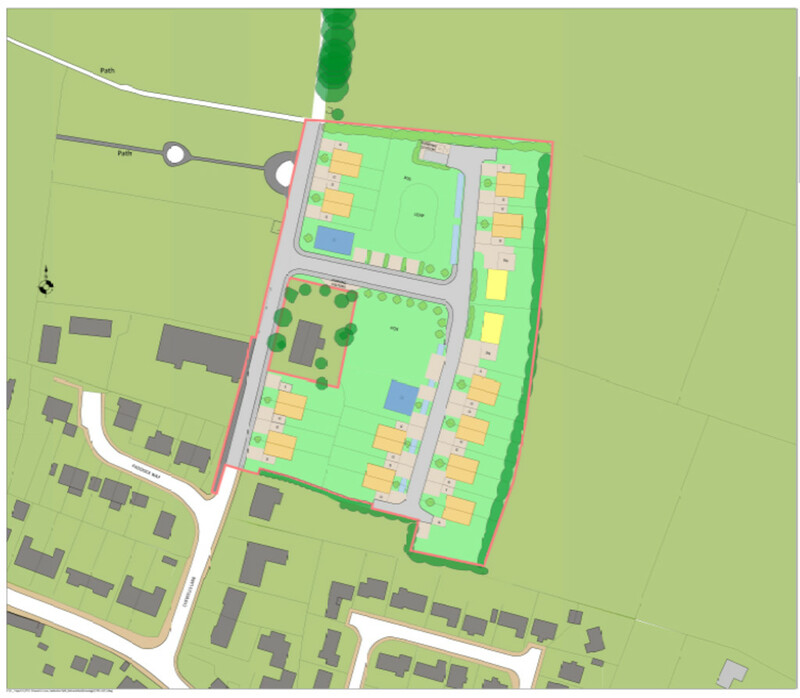 A well located residential development site extending to 1.6 ha (4 acres) with outline Planning Permission for 34 dwellings situated on the outskirts of the village. Haddenham is a popular village situated approximately 7 miles to the South-West of Ely and approximately 12 miles to the North of Cambridge. 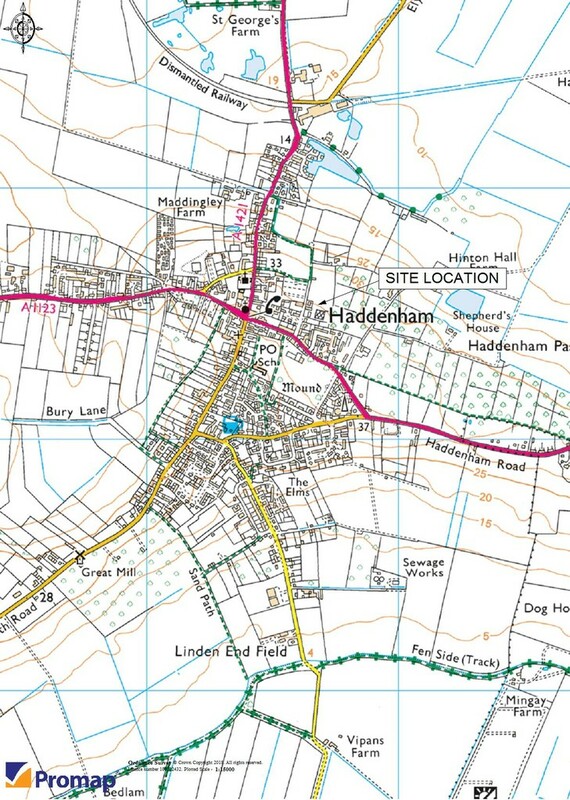 Haddenham has a good range of facilities, to include primary school, Post Office, various shops, doctors' surgery, public houses, etc. and is a thriving village. 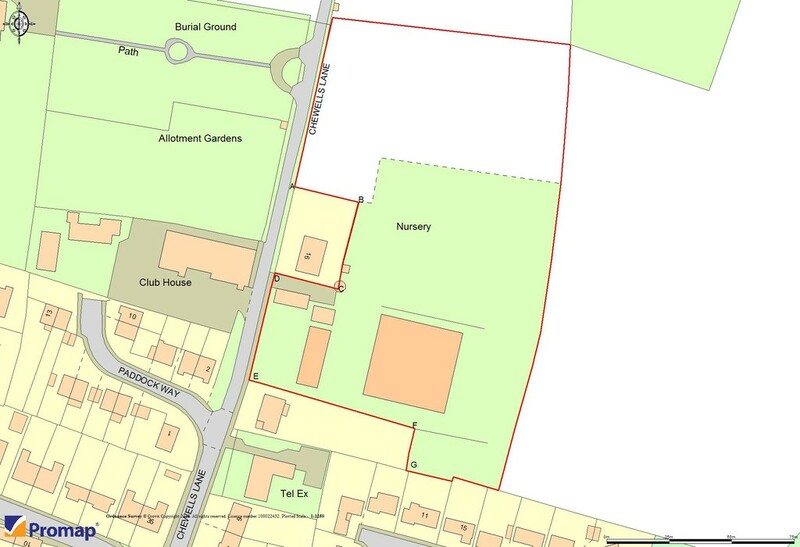 The site extends to 1.6 hectares (4 acres), or thereabouts and is shown edged in red on the plan attached. The land has previously been in horticultural use. Chewells Lane is situated under 500 metres from the centre of the village. Outline planning permission (Reference 17/01570/OUM) was granted by the East Cambridgeshire District Council on 26th March 2018 with consent for 34 dwellings, to include affordable housing. A copy of the planning consent granted, together with the Section 106 agreement is available in the Information Pack. An illustrative layout is available showing a development of 2no. 4-bedroom detached, 24no. 3-bedroom semi-detached houses and 8no. 2-bedroom apartments with a gross internal area of 3,362 square metres, to include the affordable housing. Each dwelling will be 2-storey and have an allocation for 2 car parking spaces. A detailed report on services relating to the site is included within the Information Pack. Interested parties should satisfy themselves as to the adequacy of the services and the information available within the Technical Report for the proposed development. The site is sold subject to all wayleaves, easements, covenants and rights-of-way whether or not disclosed. Title information and Land Registry plans are available in the Information Pack. The property is offered for sale freehold with vacant possession on completion. V.A.T. will be charged in addition to the purchase price. The Purchaser(s) will be responsibole for the Community Infrastructure Levy in addition to the purchase price. 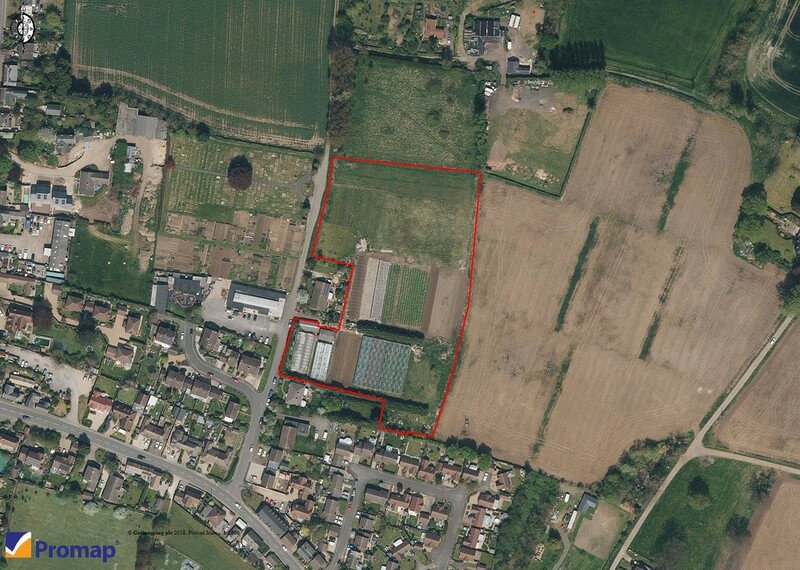 The site is sold subject to an overage provision based on 2,353 square metres of unrestricted market housing. If the subsequent development should exceed this figure by 5% a further charge will be made by the Vendor on a pro rata basis in respect of the agreed sale price plus V.A.T. Endurance Estates are exploring the opportunity to reduce the agreed education contributions set out in the Section 106. A proportion of any reduction in contributions will be reserved by the Landowner. (a) 16, Chewells Lane can be acquired by separate negotiation, if required. (b) The purchaser(s) will be responsible for erecting a 1.8 metre high close boarded fence between Points A-B-C-D and E-F-G as shown on the attached plan. (c) In the event of the illustrative layout being redesigned prior approval of the Landowner is required. Any subsequent design should retain an area of public open space to the rear (East) boundary of 16, Chewells Lane. The site is offered for sale by private treaty at a guide price of �1,750,000. Exchange of contracts shall be within 28 days of the Purchaser(s) receiving a draft contract. Completion will be by agreement between the parties. Barr Ellison LLP, 39, Parkside, Cambridge. CB1 1PN. Endurance Estates Limited, 1, Station Road, Foxton, Cambridge. CB22 6SA. Cheffins, 25, Market Place, Ely, Cambridgeshire. CB7 4NP. East Cambridgeshire District Council, The Grange, Nutholt Lane, Ely, Cambridgeshire. CB7 4EE. For clarification we wish to inform Purchaser(s) that we have prepared these sale particulars as a general guide. None of the statements contained in these particulars as to the property shall be relied on as statements of fact. All measurements are given as a guide and no liability can be accepted for errors arising therefrom. The plan and acreages use gross acreages taken from the Ordnance Survey sheets and are for identification purposes only. The Purchaser(s) shall be deemed to have full knowledge of the state and condition thereof and as to the ownership of any tree, boundary or any part of the property. If communications, condition of the property, situation or such facts are of a particular importance to you please discuss these priorities with us before arranging an appointment to view. This should avoid a wasted journey.